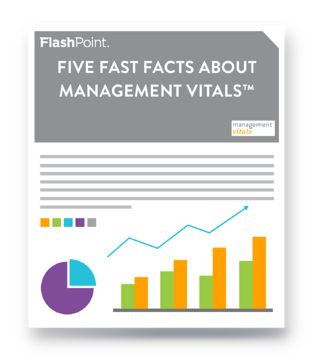 This infographic provides a quick snapshot of the highlights you need to know about our FlashPoint original program, Management Vitals™. This proven and practical program equips leaders with the fundamentals of management, providing leaders with the tools, skills, and confidence to shift from reactive to proactive. Download this resource by filling out the form. We will also send you a copy by email.